There are several technologies for adding MLS listings to your WordPress website, but none offer the capabilities of an integrated site. Content Rich – Every property listing on your MLS will be regenerated on your site in the form of a unique WordPress page. Flexible – You will be able to host these listings on the servers of your choosing. Indexable – Search engines crawler software will be able to “see” your pages. These benefits can improve the number of your website pages that result when a web users launches a related search query. And it can help you climb search engine rankings so you are closer to the top of the list for searches containing your keywords. So how do you add these listings to your WordPress website? The first thing you will need is a license for a RETS feed. This is the raw data feed that will service the integrated property listing display on your site. Your MLS will have more details about acquiring this feed, but generally it will require some paperwork and possibly a one-time or recurring data-access fee. Most real estate agents do not have the time or the experience to do the technical work related to establishing and maintaining a RETS feed. For this they turn to a third-party technology provider. 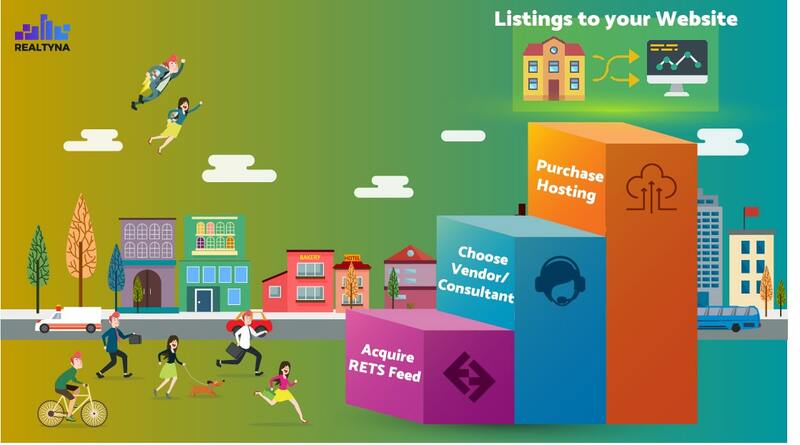 Realtyna offers these services with its Organic MLS Integration product. With an integrated site, all of your property data (the listings, descriptions, etc.) will reside on your website server. So will need to make sure your hosting plan is capable of handling this data load. It can be 50GB or more of new data depending on how many properties are available in your MLS. With these three things (plus a WordPress account and domain) you will be ready to integrate MLS listings into your WordPress website. All of the property listings in your MLS (including sold listings, if they are available) can be integrated into your website. All of the relevant property listing data (the photos, the descriptions, the addresses, etc.) will reside on your website server. We don’t frame and we don’t use subdomains. If you don’t have a RETS license and you would like help with this process, we can contact your MLS on your behalf to get the ball rolling. 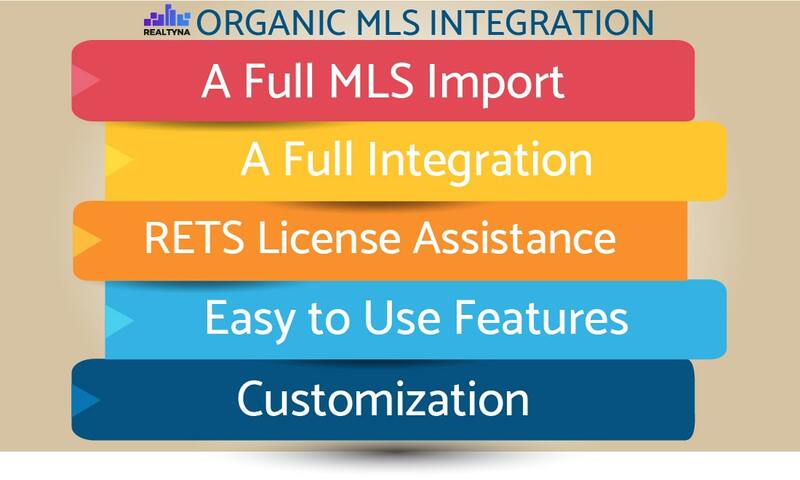 Organic MLS Integration is easy and flexible. You are able to personalize your search bar, add property listing fields, and configure you property display pages from your website back-end. Under Organic MLS Integration, your data feed is exclusive to you, so we can configure it in any way that you need. If your business focuses on a specific property type or location, let us know and we’ll adjust the feed accordingly. Or contact us for a free consult.